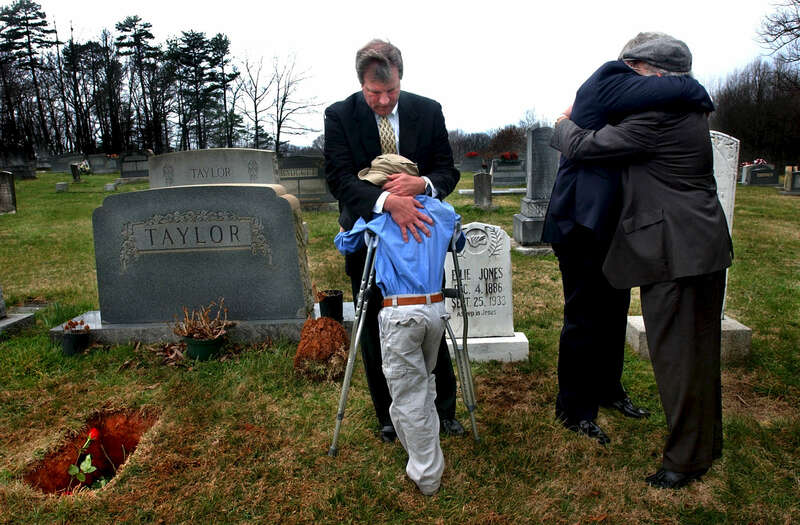 Shane Taylor hugs his dad, Dave Taylor, at his grandfather's funeral. At right are Dave's brothers, Pat and Greg. The funeral was for Vestal Taylor.